​Luz Ortiz is a writer and illustrator born in Cali, Colombia. She started her career working as a copywriter at advertising agencies in Spain and the United States, this experience took her to further explore the world of writing and finally pursue her passion, which is developing stories for children. She started publishing for organizations such as the IOM (International Organization for Migration) and working in social projects meant for children with special needs, among others. Soon after that, Luz discovered the illustration world and fell in love with it, publishing her stories and illustrations at Read Conmigo, a monthly bilingual publication at Los Angeles, CA. 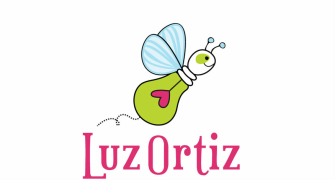 Luz's work is inspired by the simplicity and authenticity of children. Her intention behind her work is not only to entertain, but also to inspire children and parents with positive messages.